In Colorado, you’re allowed to carry up to an ounce of marijuana at a time, and the police can’t hold that against you. However, if you do end up having your marijuana confiscated by police (because you’re carrying too much, or growing too many plants, or it’s with you in the front seat of your car, for example), don’t expect to get it back. The Colorado Supreme Court recently ruled that Colorado police are not required to return confiscated marijuana to the original owner. Any marijuana collected during a raid or other confiscation must be destroyed. Why? If it’s legal to have marijuana in Colorado, why don’t the original owners get it back? The courts blamed federal law, stating that because marijuana is still illegal at the federal level, police returning the confiscated drugs would be, essentially, distributing marijuana. This would put the police in violation of the Controlled Substances Act. Understandably, marijuana enthusiasts are probably fairly disappointed to know that their product will be destroyed if the police ever get their hands on it. The police, on the other hand, cheered the decision, citing issues with storage. 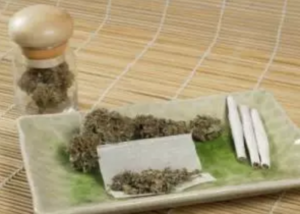 Not only is there simply too much weed to store away, but it tends to stay in confiscation until it begins to rot and mold, creating a biohazard that endangers police. In light of this, we recommend marijuana users to always obey laws like possession and grow limits, and if you plan on transporting marijuana, keep it in a sealed contained in the trunk of your car or behind the last row of seats. If you have been charged with marijuana-related driving crimes in Colorado, our DUI defense attorneys can help.